A flat tire is one of those things that can put an immediate halt on your travel plans. Whether you’re cruising down the road to your local grocery store or heading down the interstate on the way to work. It’s hard to plan for these situations, and the disruption they cause is frustrating and stressful. We’ve spent years providing flat tire service in the Union City area, and we completely understand the annoyance. Before you continue down this page, make sure you’re in a safe place. If it’s dark, try to gentle pull into a well lit location with plenty of other people. If you don’t feel safe leaving your vehicle, then please don’t! Just give us a call right away and we’ll dispatch an experienced roadside service pro to you immediately. Once they arrive they’ll get you back on your way quickly. Your safety is much more important than the small cost of a flat tire service! 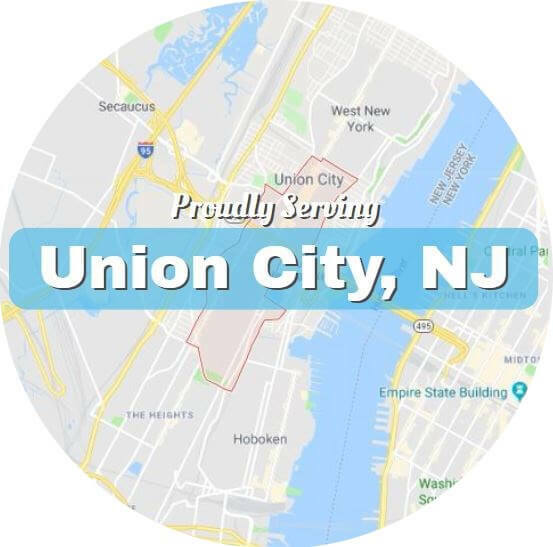 If you feel very unsafe, call the Union City police department at (201) 865-1111 right away and request an officer’s presence. 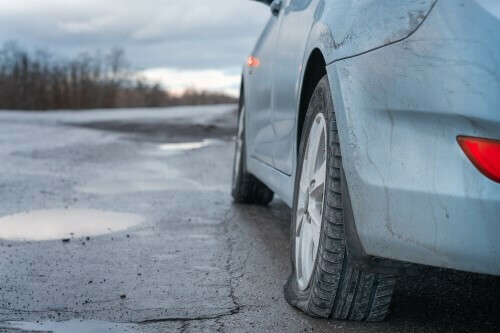 |Changing a tire isn’t rocket science in theory, but when you’re dealing with heavy vehicles, unstable situations off the road, and potentially a lack of experience or know-how, it can be dangerous. If you’ve never changed a tire, don’t know how, or just don’t feel confident that you’d do it completely right, then please don’t! A tire put on incorrectly can spin slightly out of alignment until it eventually comes loose while you’re moving fast. If you’re flying down the highway, it could come off, throw you into a spin or send you off the road. Or just as bad, into another vehicle. Our flat tire assistance service is fast, affordable, and extremely convenient as well. You can get back on your way in a matter of minutes, not hours, and you can stay safely and comfortably in your car the whole time. Just call us at 551-239-1459 to have a qualified pro sent your way ASAP.